Kachi Lithium Brine Project. Photo by Lake Resources. 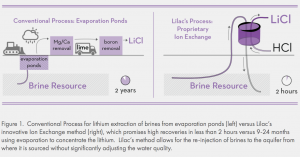 Australia’s Lake Resources NL (ASX: LKE) and America’s Lilac Solutions recently announced that they had established a partnership with the idea of developing the Kachi Lithium Brine Project in Argentina. 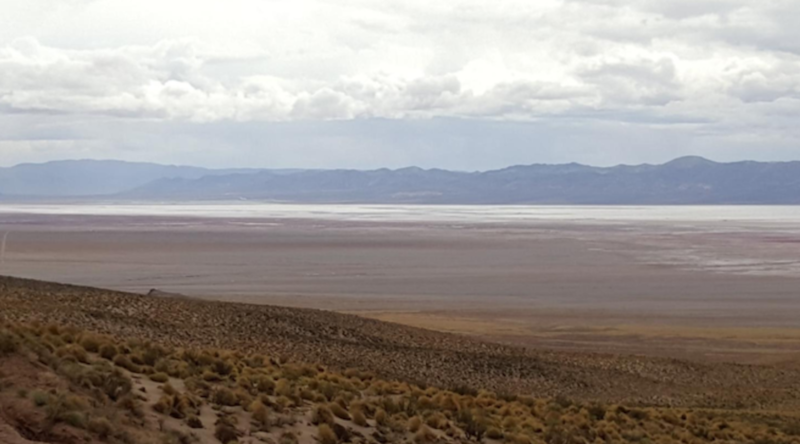 Lake owns the project, which is located in the northwestern Catamarca province, some 100 kilometres south of FMC's Hombre Muerto lithium brine operation. Back in 2017, Kachi received results of over 200 mg/L lithium, recorded from near-surface auger brine sampling. The results maxed out at 204 mg/L lithium. Meanwhile, Lilac is the company in charge of providing its ion exchange technology to produce lithium at the 54,000-hectare site. low lithium concentrations and high concentrations of other salts, such as magnesium. “With conventional lithium processing, very large quantities of lime and sodium carbonate need to be trucked in to remove magnesium and calcium from the brine. Lilac dramatically decreases the volumes of reagents that need to be trucked in, so we can unlock resources in remote locations. On top of this, our technology is modular so the physical footprint of our facilities is approximately 1,000 times smaller than conventional lithium brine projects using evaporation ponds,” he said. Lake and Lilac plan to install on-site pilot plants in early 2019 and start commercial production in 2020 with the idea of selling their product to battery companies and affiliated chemical companies producing cathode powders such as NMC, NCA, and LFP. “We currently have four process engineers working on the Lake project. For the on-site pilot plant next year, we will add three field engineers and three technicians. Each commercial plant will employ dozens of people, and we're excited to develop positive ties with the communities where we operate,” the executive said.